has anybody tried using ifs formulas with the mandelbuld/mandelbox formulas? 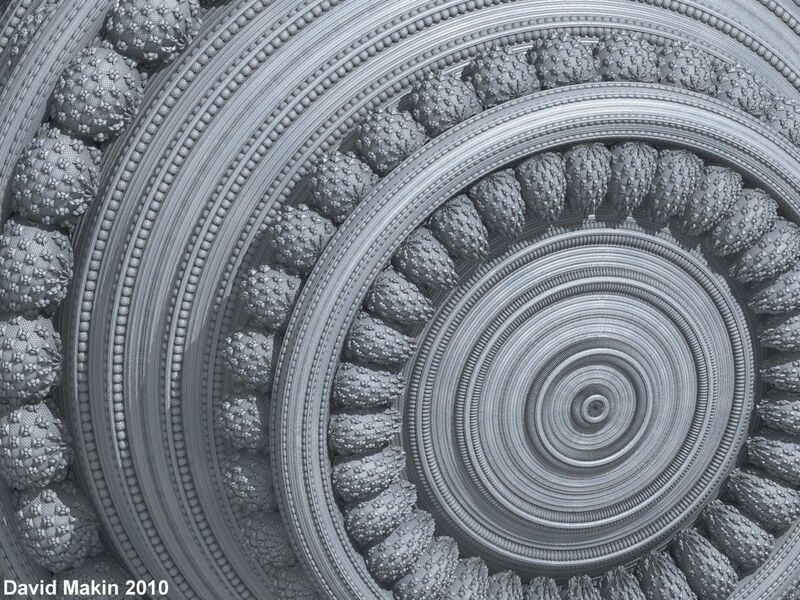 Welcome to Fractal Forums > Fractal Software > 3D Fractal Generation > has anybody tried using ifs formulas with the mandelbuld/mandelbox formulas? 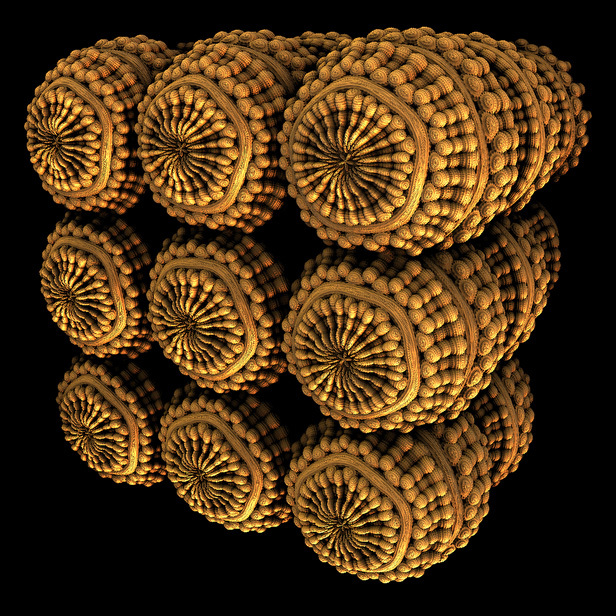 Re: has anybody tried using ifs formulas with the mandelbuld/mandelbox formulas? At the moment the closest I've got to that is the application of a choice of IFS transforms (without rotation) applied before the main formula and then the inverse applied after the main formula. 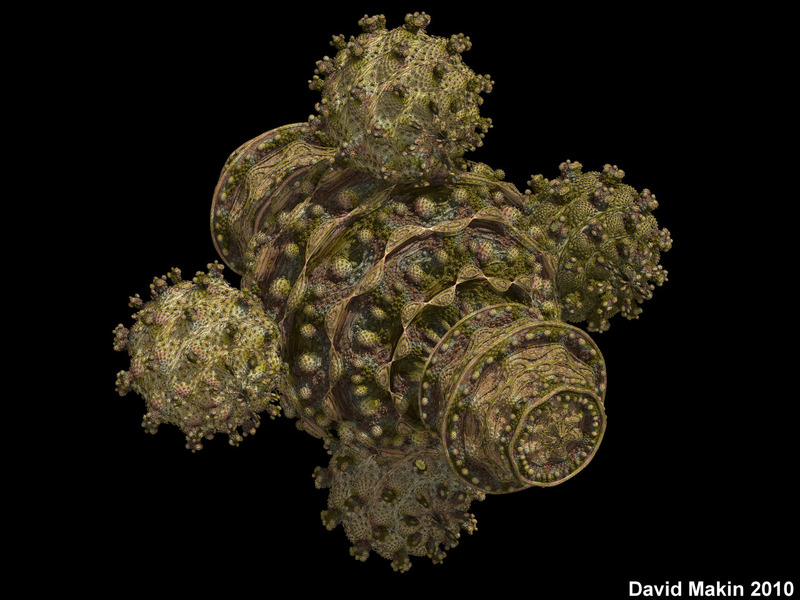 That method produced "Silver Eggs" and "The Mandelbulb Virus" (see below). I'm now working on a newer version of my formula, this time using classes and to be uploaded to the UF database, that will allow you to plug in multiple transforms into the iteration loop either many performed on a single iteration or in alternating mode - which transforms to be performed when to be chosen based on user-defined conditions. 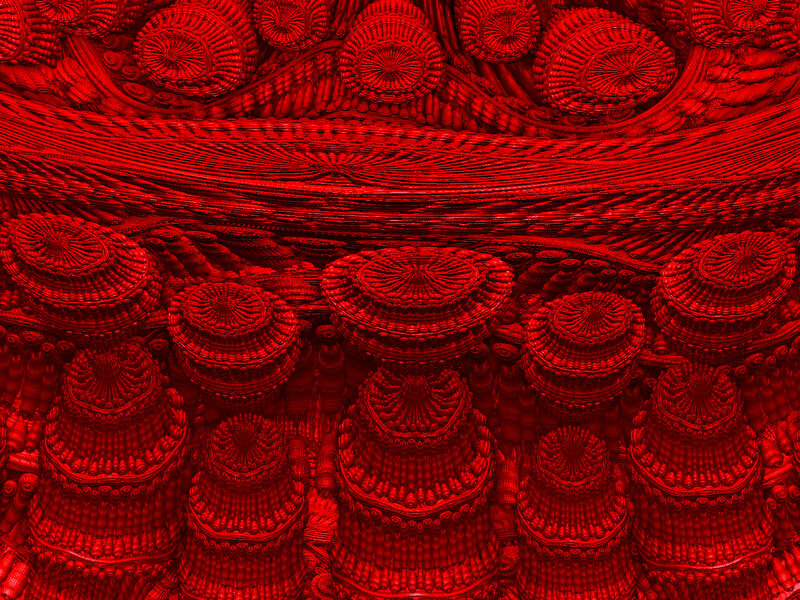 Funny, I was just trying out the Internal Folding Power formula on Jesse's Mandelbulb3D v142 today and just read your post. It does give wierd but very interesting "seeds" or "eggs" as David says.